12v, 3-phase full-wave drivers for brushless sensorless dc motors. 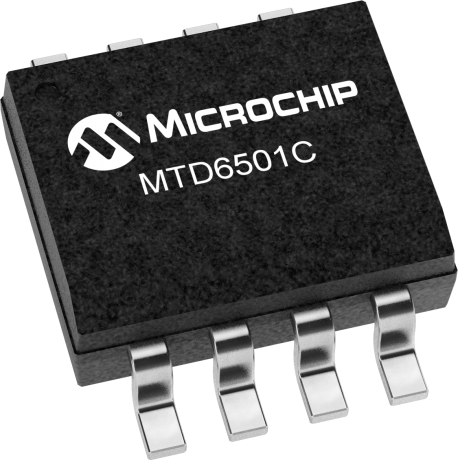 The MTD6501C is a 3-phase full-wave driver for brushless sensorless DC motors. They feature 180° sinusoidal drive, high torque output, and silent drive. Due to their adaptive features and wide power-supply range capabilities (2 to 14V) they are intended to cover a wide range of motor characteristics, while requiring no external tuning from the user. Speed control can be achieved through either power supply modulation or pulse-width-modulation (using the PWM digital input pin). Due to the compact packaging and minimum bill-of-material (power transistors incorporated, no Hall sensor, no external tuning), they are best suited for low-cost fan applications requiring high efficiency and low acoustic noise, such as CPU cooling fans. Frequency generator output is also included, enabling for precision speed control in closed-loop applications. The MTD6501C drivers include a lockup protection mode, which turns-off the output current when the motor is under lock condition, and an automatic recovery that enables the fan to run when the lock condition is removed. Motor over-current limitation, short-circuit protection, and thermal-shutdown protection are also included. The MTD6501C Daughter Board is a small board with the minimum components that are necessary to operate with the MTD6501C device but it is designed to be used with the ADM00532 motherboard provided by the ADM00575 kit.